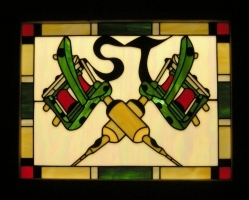 This was a commission for a stained glass panel to go in an internal door of a Tattoo Studio. 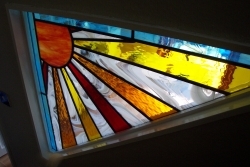 This is a commission for a canal boat. 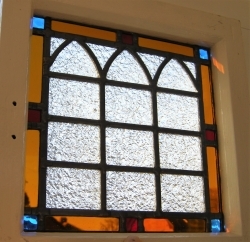 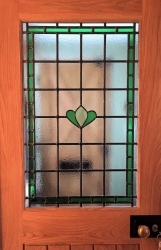 Stained glass leaded window panel fitted into the doorway entrance of a music studio. 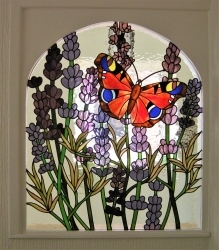 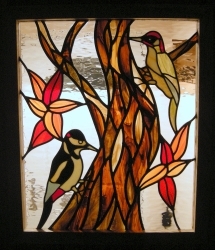 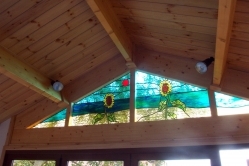 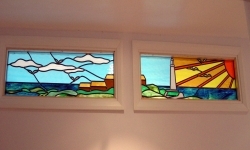 A commission for two identical front door stained glass panels.